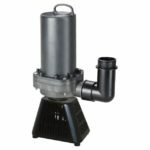 These rugged pumps are specifically designed to run continuously submersed or in-line for: circulation, filtration, fountains, waterfalls, statuary, even hydroponic gardening. Motor is epoxy filled, preventing the possibility of water getting in, or oil from leaching into the pond. 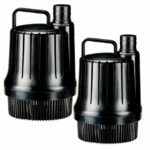 Five-year limited manufacturer's warranty on motor for sizes 190 and larger. 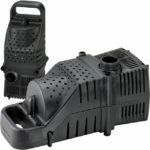 Pumps include: base, 18 foot grounded cord, and pre-filter. 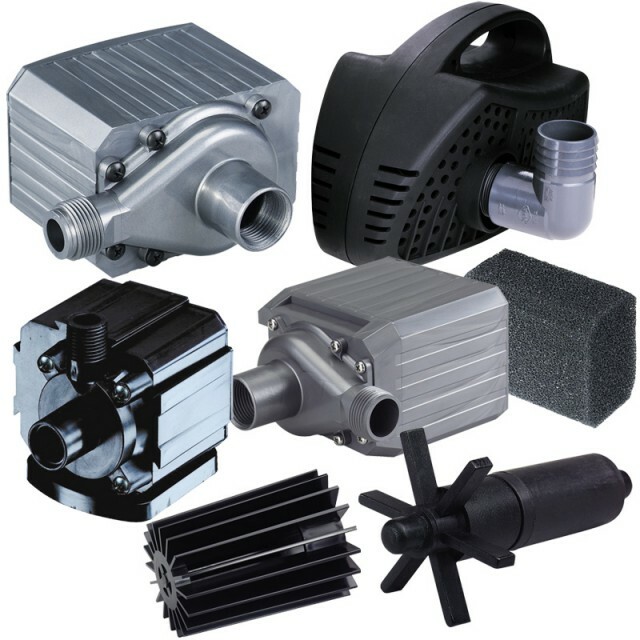 These rugged pumps are specifically designed to run continuously submersed or in-line for: circulation, filtration, fountains, waterfalls, statuary, even hydroponic gardening. Motor is epoxy filled, preventing the possibility of water getting in, or oil from leaching into the pond. Five-year limited manufacturer’s warranty on motor for sizes 190 and larger. 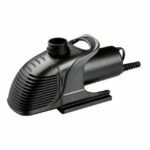 Pumps include: base, 18 foot grounded cord, and pre-filter.